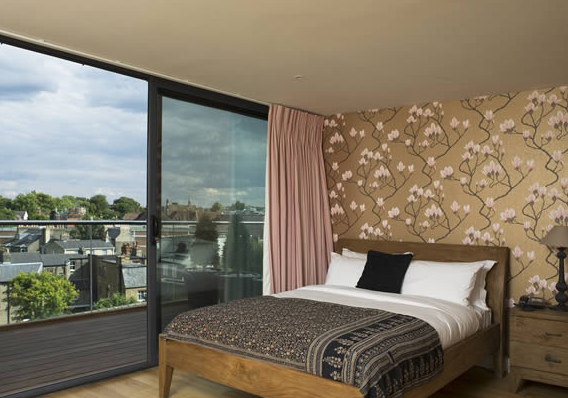 The best hotels in Cambridge UK based on the following features: excellent or good ratings from hotel guests, good hotel room prices or deals, good location, positive hotel reviews. You can see all the hotels in Cambridge UK on our Cambridge Accommodation Map. Based on tourist ratings and reviews*, we have handpicked the hotels in Cambridge UK where you will most likely have a good time and satisfactory stay with good services and amenities. One of the best hotels in Cambridge, East Anglia, regarding its hotel room prices, location as well as travellers’ feedback (average rating is 4 out of 5) seems to be Ashley Hotel on Chesterton Road, Cambridge, which is relatively close to the city centre (about 15 minute scenic walk through a big park). The average room prices per night at Ashley Hotel are about 49-79 GBP. Cosy, clean, big English breakfast, good location, with some general complaints: the reception isn’t open all day (“no staff member on duty at reception for much of the day”), no restaurant, some rooms may not have a shower, please check. The modern Premier Inn Cambridge is one of the best hotels in Cambridge, East Anglia, regarding its hotel room prices as well as travellers’ feedback (average rating is 4.5 out of 5). Although the ratings are really really good, the hotel location is quite off the city centre – and in a city like Cambridge UK where you need to walk and bike a lot (not a car friendly city) good location is a key feature we assume. The average room prices per night at Premier Inn Cambridge are about 71-95 GBP. The hotel is good value, clean, the staff is friendly, good breakfast, families, couples and business people are all usually quite satisfied with the accommodation and the services. Some of the complaints: the nearby major A road can be noisy (“we could hear the near highway even with the double glass window”), family rooms are not always big enough, hard beds, cold grey lighting. The Hotel Doubletree by Hilton is in a very nice place in Cambridge, UK. The back windows of the hotel overlook the river Cam and a big green grazing area called ‘common’. The hotel is also quite close to the city centre and the major attractions. The average rating of Hotel Doubletree Hilton is about 4 out of the max 5. The average room prices per night at Doubletree Hilton Hotel Cambridge are about 141 – 261 GBP. The BEST WESTERN Gonville Hotel in Cambridge is a lovely hotel, with good reviews (the average hotel rating in tourist reviews is 4 out of 5 – although the ratings are quite mixed suggesting an uneven quality of service, most of the negative reviews are from 2010 or earlier). The hotel is almost in the city centre, which is a big plus, just like the free parking. 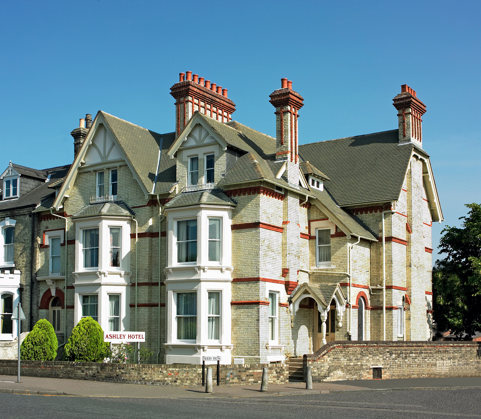 The average room prices per night at BEST WESTERN Gonville Hotel Cambridge are about 126 – 168 GBP. Some of the criticisms about the hotel: efficient communication with the staff can be problematic, the rooms are only heated if you are in the room (your card in the lock switches on the heating) so temperatures will get lower while you are away, some of the rooms are dark / outdated (ask for a refurbished room). The front rooms overlook the big green park (Parker’s Piece), which is nice as a sight but can be noisier with people enjoying themselves in the park in the evenings / at nights in summer time. The Hotel Felix Cambridge is slightly away from the city centre of Cambridge. Although most of the hotel reviews are rating Hotel Felix as ‘excellent’ or ‘very good’, in fact the ratings are quite mixed (the average rating is 4 out of 5), which shows that the hotel is good but not good enough for hotel guests. The average room prices per night at Hotel Felix Cambridge are about 122 – 227 GBP. Downsides: some of the hotel guests pointed out that there is no pool, or fitness room, or business centre in general to make the hotel an ideal stay for business travellers. Please check before booking if ‘breakfast included’ means English or continental breakfast, and if wifi is free or not. (average rating is 4 out of 5). The average room prices per night at Hotel du Vin Cambridge are about 146 – 227 GBP. (average rating is 4 out of 5). The average room prices per night at Regent Hotel Cambridge are about 115 – 151 GBP. Based on tourist ratings and reviews*, we have handpicked the hotels and lodgings in Cambridge UK where you will most likely have a good time and reliable stay with good service and amenities.